Hey everyone! It's been so quiet around here, but not behind the scenes. I've finished a few fun projects and I have a lot that I want to blog about! I just haven't had time to sit down at the computer and do it. Oh this is very kind of you - thank you! This will make Monday a fun day! Just ordered it - really looking forward to making something for my 4 year old - his name probably! 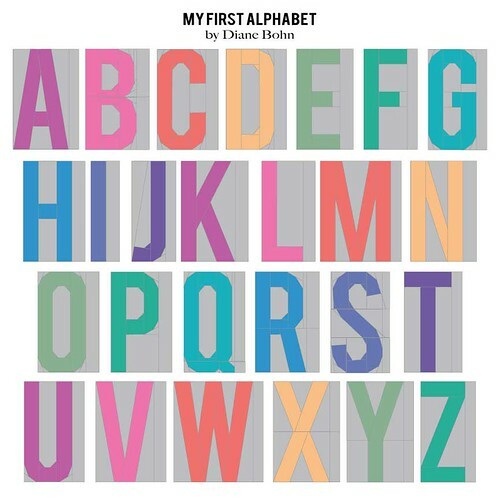 Diane, I'm wondering how difficult it would be to resize the letters? On the page it says you can, but says you have to adjust the seam allowances...I was just curious. Thanks if you can send me a note.